We first launched OpenSummit during the fall of 2016 as your home to find hourly weather forecasts for Colorado's 14,000-foot peaks, or as they're most commonly known, the 14ers. During the last two years, thousands of hikers have used OpenSummit to plan their next 14er summit day. In our latest release (v1.3.1), we added hourly weather forecasts for nearly 1,000 of the highest peaks and notable hiking areas across the United States. The Grand Teton, Denali, Mount Washington, and even Hawkeye Point, Iowa can all be found with a quick search on the Explore screen. Hourly lightning, precipitation, temperature, and wind speed data for the next two days are free to view. The 3-5 day forecast is available by upgrading to OpenSummit All-Access for $19.99/year. What you see in the latest release of this iPhone app is just the start of our long-term vision for OpenSummit. 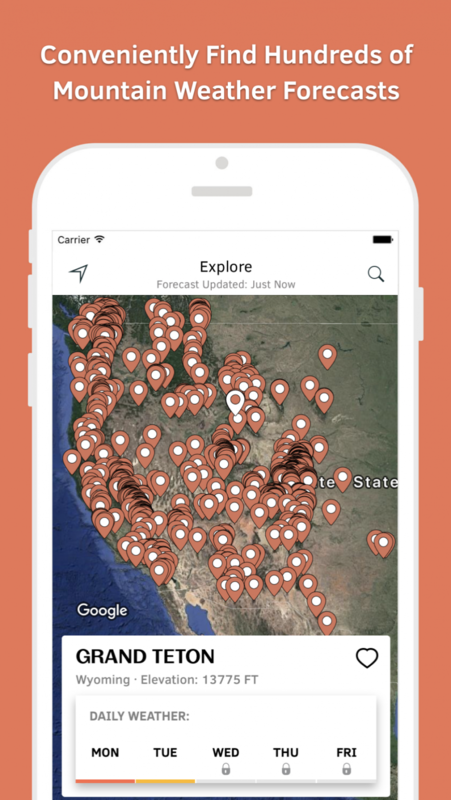 Expect an Android app, expanded website, and more detailed forecasts in the Spring of 2019, all to help you plan your next outdoor adventure. Download OpenSummit on the iOS App Store today.